Whether you need to reach out to your customers or keep-up with your team, every startup needs communication systems that are both affordable and reliable. Thanks to technology, this has never been easier, but with so many options available, which communication systems should your startup use? Every entrepreneur needs a reliable phone system to make cold calls, check-in with investors, or host phone conferences with their team. 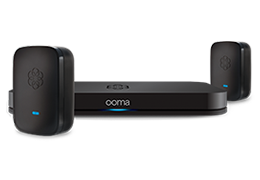 VoIP systems like Ooma cost 66% less than traditional business landlines such as those offered by Verizon. 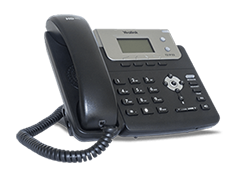 Additionally, because calls are transmitted digitally, the sound quality of calls are crystal-clear. Ooma is also packed with features that can make your startup appear like a big business such as a virtual receptionist, extension dialing, conferencing, and music on hold. And, as your business grows, the system will expand to meet your changing needs. Best of all? Service starts at only $19.95/month. Slack is a real-time messaging tool that includes everything from private or group chat rooms and direct messages to video calls. Communication is organized by topic so that you and your team can stay on track of different projects. You can access Slack through your browser or download the app for your desktop or mobile device including Windows, Mac, iOS, Android and Apple Watch systems. Slack also has integrations with popular startup tools like Dropbox, Google Drive, Twitter, MailChimp, Trello, and Zendesk. Overall, Slack is a simple and practical tool that every startup should use to stay organized. But, it’s most appealing feature is that it provides immediate internal communication between you and your team. In case you were curious, it’s estimated that 205 billion emails were sent daily in 2015. That figure is expected to grow to around 269 billion by the end of 2017. That comes out to 2.4 million emails in a second and 74 trillion emails in a year! The math alone is mind-boggling, but this also shows that there’s a growing use of email as a communication tool for brands. Unfortunately, almost 50% of these emails are spam. That may not seem like a problem, but the fact of the matter is that email providers like Google, Microsoft, and Yahoo have their own built-in features that filter out spam emails. They also label marketing emails as spam if they’re coming from an untrustworthy domain or IP address. To ensure that you get your domains and IPs whitelisted – which increases the chances of your emails reaching your user’s Inbox – you’ll need a service like Mailchimp. MailChimp is also a powerful marketing automation tool so you can send product follow-up emails and integrate with Facebook and Instagram so that you can find new customers and reconnect with others. It also integrates with Magento, Shopify, WordPress, and Salesforce. You can sign up for MailChimp for free and paid plans start at $20 per month. Like Slack, you can use Ryver to share Chats, like instant messaging or texting. You can also share Posts which are Facebook-style threaded, topic based conversations, and Files with groups or individuals either openly or privately. This allows you to communicate privately with people like your co-founder, investor, or Board of Directors. Unlike Slack, Ryver allows you to invite guests to your communications, like customers or consultants. They can join the specific conversation but don’t have full access to all of your Open Forums. Most importantly for startups on a tight budget, Ryver is completely free. Whether you need to make voice calls, video calls, or just chat and send multimedia messages to your team, Google Hangouts makes any kind of group collaboration fast and easy —no matter where everyone is located or what device they’re using. You can use Hangouts on your desktop, Android, or iOS mobile devices, connect with up to 10 people from anywhere in the world, and make voice calls directly from your computer (calls to the US and Canada are free). Hangouts can also be used to host business video conferencing and even live-stream meetings and events. Hangouts allows you to keep a history of your Hangouts, so you can go back to old conversations for reference if you need to. While Google Hangouts is free, paid subscriptions are also available if you need to increase the number of people you can connect to in a single session. What communications systems does your startup rely on?